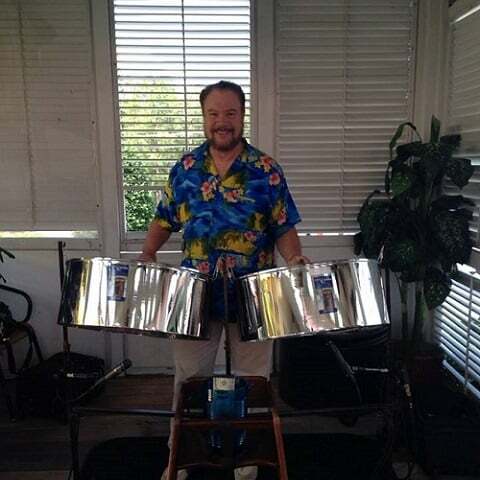 “Pandomania” led by David Cooper is a steel drum ensemble specializing in music from the Caribbean including, Reggae, Salsa, Samba, Calypso and many other popular Latin rhythms. Cooper received a degree in ethnomusicology at the University of Illinois and became interested in the Steel Drums after trips to Jamaica, St. Croix and Trinidad and through affiliation with the growing popularity of Steel Drums in the U.S. Besides Steel Drums, Cooper also plays a Russian instrument called the Balalaika and is music director of the Atlanta Balalaika Society.